With and without his friends in the Old 97′s, the amazing Rhett Miller sweats mighty bullets of voice and guitar brilliance. The Old 97’s have one of the healthiest band relationships I’ve ever heard of — they work on solo projects in between recording (and touring in support of) their own albums. This arrangement results in a lot of really great material at a relatively frequent rate of release — along with lots of fun concerts to go see. 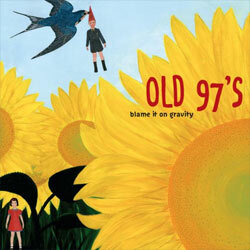 Last year’s Old 97’s album, Blame It on Gravity, came along right when I needed it. I’ve been lied to by girls before, and thrown away by girls before, but in the early months of 2008 I ended up on the receiving end of the most heinous and disgustingly vile scheme of gross manipulation and utter dishonesty I’ve ever seen. About two weeks after the jig bellied all the way up, I found myself staring at my ceiling one night, lost and in shock, wondering if I’d ever make sense of it all — and deciding on probably not. To try to coax my heart-battered brain in a different direction, I powered up Sweet Lorelai (my iPod) and gave Blame It on Gravity its first spin. It didn’t take long before I was smiling, laughing, and vigorously nodding my head to its snappy rhythms and jaunty, jangling widsom. It’s such a fun album. Barely over a year later, here comes Rhett Miller with Rhett Miller … and holy cow, it’s good. The perfect solo sequel to one of my absolute favorite albums of 2008. 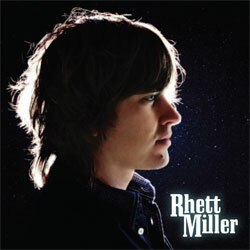 I’m a huge fan of Rhett’s previous albums — The Instigator and The Believer. As a whole, I think The Believer is probably better, but The Instigator is probably a little easier to listen to all the way through while you’re driving. Rhett Miller pretty much hits the perfect balance between the two. And I love that the front and back cover photos look like they were taken by Deb from Napoleon Dynamite. This is truly the kind of music that makes everything better. So please hop on down to your favorite local record store, and let Rhett’s latest batch of songs bop you all the way home.